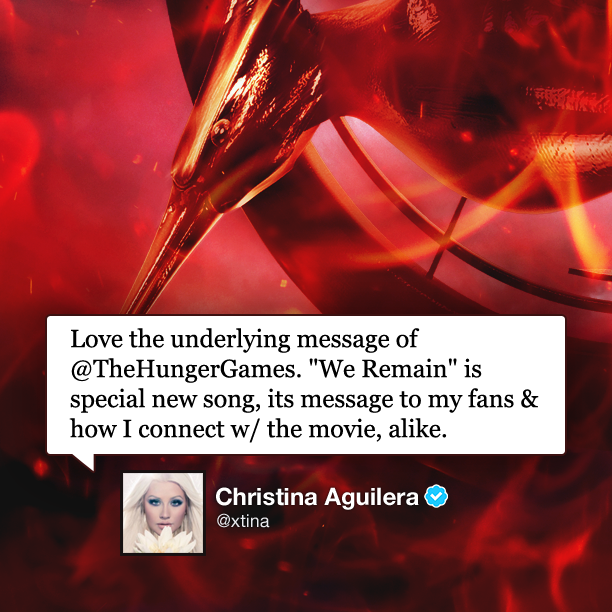 Christina Aguilera announced via Twitter that she has written a song inspired by the Hunger Games series, and how she connects with the message behind the story. We now know it is set to feature on the Catching Fire soundtrack album. The song is titled "We Remain", and Lionsgate later officially confirmed that it has been written exclusively for the film! So now we have Coldplay, The National and Christina Aguilera confirmed. Looking good so far! We can't wait to hear more news of other artists to be featured on the soundtrack.